Technology can both reduce and increase our environmental impact. It just depends on how we use it. Monitors, backup systems, cell phones, SMART boards, and all the other technology required to run your business can result in sky-high energy bills and unnecessary energy waste. On the other hand, this very same technology allows us to reduce waste in other ways that can greatly reduce the environmental impact of a business. Here are 5 ways to harness the power of technology for environmental good and start lowering the eco-footprint of your office, store, or agency. We now have the technology to design energy efficient electronics that use up to 75% less electricity than standard equipment. ENERGY STAR estimates that if every home office product purchased in the United States was ENERGY STAR certified, we could prevent 1.5 billion pounds of greenhouse gases from entering the atmosphere and save over $117 million in annual energy costs. And this is only referring to home office products, so imagine the energy savings if every business switched to ENERGY STAR equipment as well! If you’d like to install your own solar panels, many cities offer rebates for investing in renewable energy solutions. 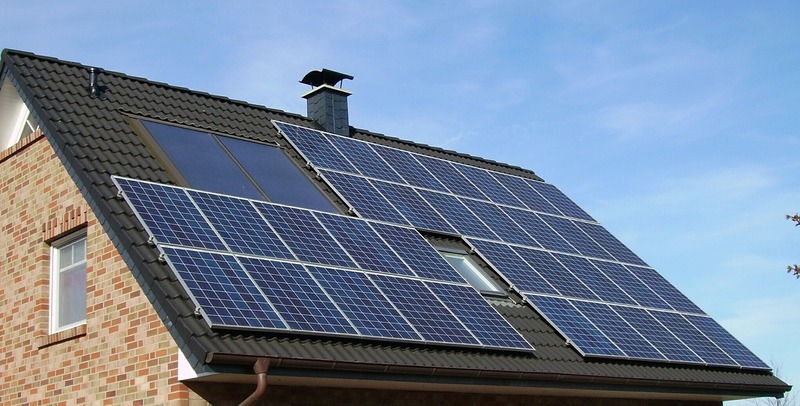 The federal government also offers tax credits to install solar panels on your home or business. Not sure you want to rely on government subsidies? Fortunately, there are also grassroots programs like Community Choice Energy that provide affordable renewable energy options for your entire community. Reducing paper waste is what technology does best. Documents that we once had to print and store in filing cabinets can now be filed online in secure, easily searchable cloud-based data storage systems. Online platforms, like PayPal and Venmo, make taking credit card payments easy and affordable for small businesses. They also reduce the number of checks, envelopes, and postage needed for transactions. In fact, it’s estimated that if only 1 in 5 households switched to electronic bills, statements, and payments we could save 151 million pounds of paper and reduce our greenhouse gas emissions by 2 million tons. Not everything needs to be connected to the internet but for some everyday items, it just makes sense. Thermostats are one of these everyday objects that have the ability to improve our lives by going online. A smart thermostat like the Nest, can learn your schedule and automatically turn on when you arrive at work and power down when it’s time to go home. It also allows you to track your energy usage and has recommended settings to help you maximize your savings. Check out other useful smart home devices here. Instead of driving to a client’s office or flying out for a conference, opt for virtual meetings whenever possible. Skype, Google Hangouts, and VirtualPBX all provide conference call options so you can cut down on travel time and still connect with clients, employees, and colleagues from around the globe. With VPN technology, employees can also securely connect to their office network from anywhere, making working from home once a week (or more) a feasible option for many workplaces. Experiment with a work-from-home-Wednesday—your employees will save money on gas, reduce their eco-footprint, and may even report an increase in productivity.